The Tokyo neighborhood has diverse appeal. Where should you begin? ... and Shinjuku Gyoen National Garden. Here are ten spots to discover around its hub, Shinjuku Station: It’s the world’s busiest, serving roughly 3.6 million rail passengers daily – more than the entire population of Berlin. Sit down to elaborate kaiseki (Kyoto-style multiple-course meals) and gourmet bentos just steps from Shinjuku Station’s main east exit. 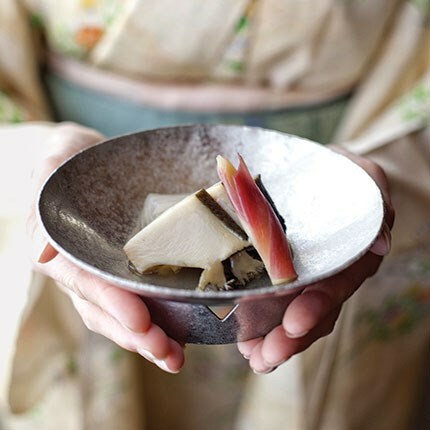 For more than 40 years, the elegant space has earned its following for traditional tea ceremonies and dishes such as ocean eel soup and yellowtail sashimi garnished with shiso blossoms. Once a month Kakiden offers classes introducing diners to the etiquette of classical Japanese dining. 3-37-11 Shinjuku; kakiden.com. Head here for netsuke – miniature sculpture trinkets traditionally hung from kimono sashes. Counting imperial family members among its customers, Sagemonoya is among a handful of dealers countrywide of the highly prized collectibles. In addition to antique pieces, which can rival luxury-sedan price tags, the gallery sells works by contemporary netsuke artisans. 4-28-20-704 Yotsuya; netsuke.com; open Wednesday through Saturday afternoons and by appointment. Top Japanese and international interior designers unite under one roof in this five-floor emporium that’s open to the public. Housed in the 52-story Shinjuku Park Tower, the design center’s showrooms straddle the line between shops, building-material galleries, and barometers for future design trends. You could create entire rooms around highlights such as Atelier Mokuba’s tables, carved from a single piece of wood; Monova’s whimsically updated traditional dishware; and sublimely simple cypress soaking tubs. Third through eighth floors, Shinjuku Park Tower, 3-7-1 Nishi-Shinjuku; ozone.co.jp. To continue exploring options in Shinjuku, use the arrows. To collaborate with a Virtuoso travel advisor on your next trip(s), connect below. Food halls rule Japanese department-store basements, but few compare to this upscale Shinjuku flagship. With a huge variety from some of the country’s most acclaimed gourmet purveyors, it’s a tasteful map of Tokyo’s epicurean zeitgeist. A few recommendations: Sushi Avenue K’s roast beef nigiri, Sadaharu Aoki’s bamboo pastry, and Toraya’s yokan, or sweet bean paste bars. 3-14-1 Shinjuku; isetan.mistore.jp/store/shinjuku. Once the imperial family’s private garden, this sprawling park is especially beautiful when its 10,000-plus trees turn the grounds into a shimmering blanket of gold and red. Surrounded by high-rises such as the art deco NTT DoCoMo Yoyogi Building, Tokyo’s wide-open heart stands as a poetic tribute to the Japanese appreciation of Zen and nature, and is a favorite with families for weekend bento picnics. 11 Naitomachi. A tippler’s apothecary of 300-plus whiskies (as well as Japanese grappas, rums, and other rare liquors), this 15-seat watering hole hides itself on the third floor of an otherwise nondescript office building. Drop in for rich Japanese drams from Karuizawa, Eigashima, and Chichibu Ichiro’s Malt, in addition to spirits from blue-chip distilleries such as Suntory and Nikka. A film buff’s passion project, Zoetrope features interiors designed by the legendary art director Takeo Kimura and screens silent films on its back wall. Third floor, Gaia Building, no. 4, 7-10-14 Nishi-Shinjuku; homepage2.nifty.com/zoetrope. Office workers will spend most of their lunch break queuing up for the rich, umami flavors of tsukemen at this lauded living-room-size joint whose name means “lucky adventurer.” The deconstructed ramen dish consists of a plate of noodles accompanied by a bowl of thick, fish- and pork-based dipping sauce with a generous amount of bonito powder. Order from a vending machine menu written without a single word of English, then wait along the wall, listening to the J-pop soundtrack until one of the 15 stools around the wooden bar opens up, while the chef prepares the dish. First floor, Hokuto Dai-ichi Building, 2-14-3 Yoyogi. In a district with no shortage of department stores, this seven-floor fun house distinguishes itself with quirky and sometimes downright outlandish goods; look no further if you’re in need of stick-on Kabuki face masks or socks that resemble nigiri sushi when folded. The best organized and most beautifully presented outlet of the Japanese chain, Shinjuku’s Tokyu Hands is a treasure hunting ground for items you never realized you were missing in your life – perfect for souvenirs and gifts. Second through eighth floors, Times Square Building, 5-24-2 Sendagaya; shinjuku.tokyu-hands.co.jp. Presiding over the top 14 floors of stately Shinjuku Park Tower, Park Hyatt Tokyo is an exercise in understated opulence. In a city where space is the ultimate luxury, the 177 guest rooms and suites are generously sized and feature unparalleled views stretching to snowcapped Mount Fuji. While the hotel played a starring role in Lost in Translation, its sleek appearance, room paneling hewn from centuries-old Hokkaido water elm, and intuitive service need no interpretation. Doubles from $533, including breakfast daily and a $100 dining credit. Against all odds, Golden Gai – Shinjuku’s original entertainment block, crammed with two-story wooden buildings – has resisted the merciless development that has swallowed most of old Shinjuku. In this intimate block crisscrossed with narrow alleys, you’ll find 200 shot-glass-size boîtes, some with no more than five seats and doors so narrow you have to shimmy sideways to enter. 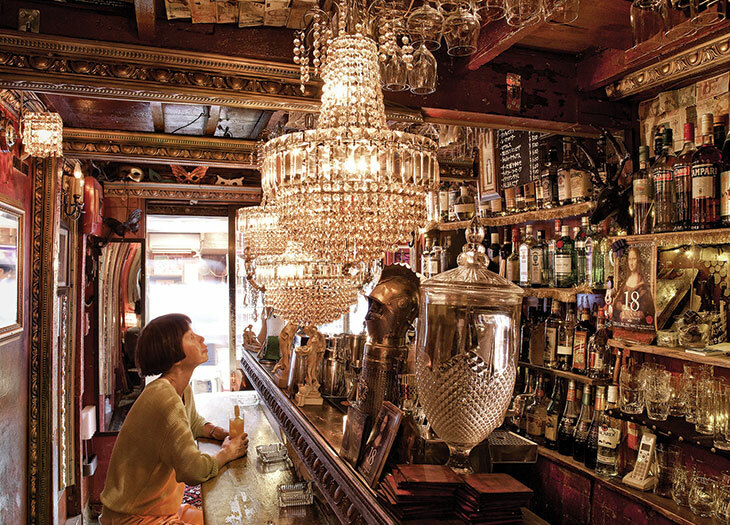 Start your Golden Gai evening among Albatross’ campy chandeliers and creaky red floorboards. The bar doubles as a gallery, and its friendly staff happily converse in English, making it a perfect introduction to this district, popular among directors and artists. Fifth Avenue, 1-1-7 Kabuki-cho; alba-s.com. Advisors don't rush in and control your vacation. They work with you. But don't take our word for it. Lauren Doyle wanted to find an extra special moment in Italy, and a Virtuoso advisor helped her do so. Do you know the exact layout of a specific suite in a specific hotel in Greece? No? A Virtuoso advisor probably does. Why Should YOU Work With An Advisor? Virtuoso travelers often begin with some concerns about working with an advisor – cost, collaborative efforts, etc. – and go through a process to resolve them. Here are some real-world stories of those moments.